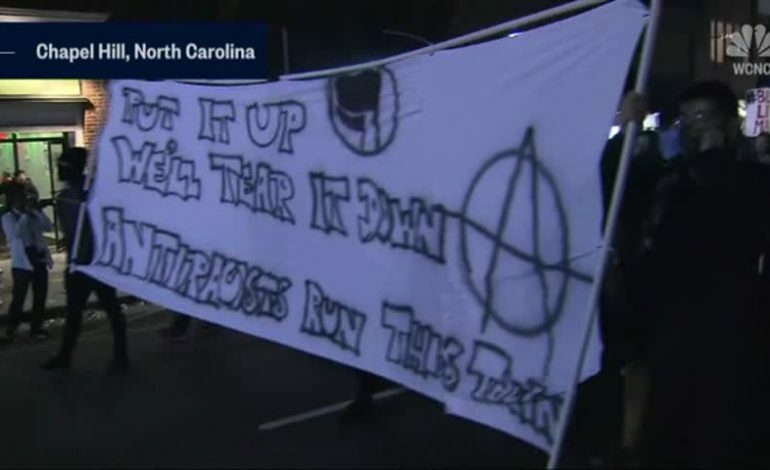 (WCNC) A plan to bring a controversial confederate monument back to the University of North Carolina at Chapel Hill is meeting resistance from students. On Monday, university officials announced a plan to build a 5.3 million dollar “center for history and education” to house the Silent Sam statue on campus. That announcement brought hundreds of people to the streets for a protest. Some said the statue represents racism on campus, while others questioned the wisdom of investing in a new building with rising tuition and university expenses. The Silent Sam statue, in honor of North Carolina’s Confederate dead, stood on the campus from its dedication in 1913 until August, when a group decrying its racist history dashed it from a pedestal. The UNC Board of Governors is expected to review the Silent Sam proposal at its December 14 meeting.